A theater has canceled the New York premiere of "The Interview" after a group that claimed it hacked Sony Pictures posted a threat against people who go to watch the movie. One theater chain, Carmike Cinemas, has also opted not to show the film. On Pastebin, a website that allows for anonymous posts, hackers claiming to be the "Guardians of Peace" said people who see the Sony movie would suffer a "bitter fate." "The Interview" is a comedy about a plot to kill North Korea's leader Kim Jong-Un. "We will clearly show it to you at the very time and places 'The Interview' be shown, including the premiere, how bitter fate those who seek fun in terror should be doomed to," the hacking group said. "The world will be full of fear. Remember the 11th of September 2001." The Guardians of Peace have told people who live close to movie theaters to keep their distance. The premiere was scheduled for Thursday at Landmark's Sunshine Cinema in New York. "The Interview" remains set to be released to theaters on Christmas. While Sony doesn't plan to pull the movie, the company has indicated it won't object if theaters decide not to show the film, according to a person close to the situation. Related: Theater chain drops 'The Interview.' Will others follow? The New York Police Department said earlier that it planned to have police on site, as well as additional forces for rapid response in case of any emergency, according to the agency's deputy commissioner of intelligence and counter-terrorism, John Miller. "We'll continue to evaluate the threat," Miller said. "It's actually not crystal clear whether it's a cyber... or physical attack they're threatening." Meanwhile, the federal government's Department of Homeland Security said that currently, "there is no credible intelligence to indicate an active plot against movie theaters within the United States." A source directly involved in Sony's hacking response said the company would not comment immediately on the news, because the FBI is investigating the hack. On Tuesday, the Sony (SNE) hackers also released emails from Sony Entertainment Chairman Michael Lynton. 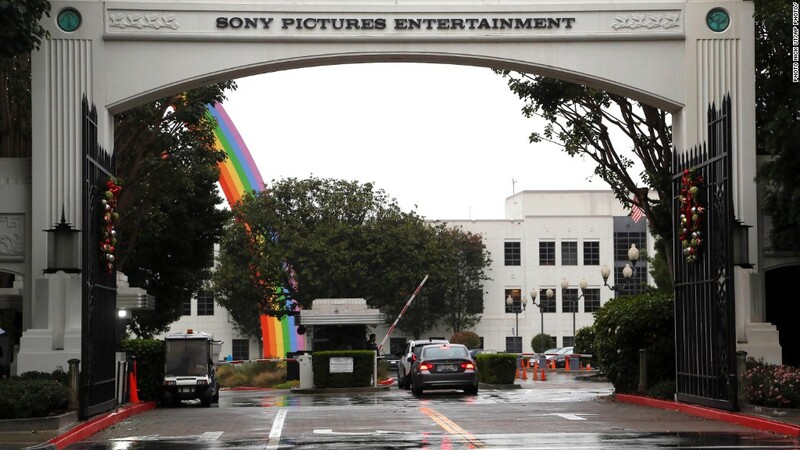 The group has been systematically exposing documents that they hacked from Sony's servers, including personal information about celebrities, embarrassing emails from executives, internal memos and leaked movie scripts. It apparently can all be traced to North Korea being unhappy about Sony Pictures' upcoming release of "The Interview." The movie is set to open on Christmas Day. Shortly after news of the threat -- which significantly raised the stakes in this Sony hacking saga -- actors Seth Rogen and James Franco canceled all of their upcoming press events, according to BuzzFeed, which was hosting an event with the two. - CNN's Pamela Brown, Brian Stelter and Lorenza Brascia contributed reporting to this story.